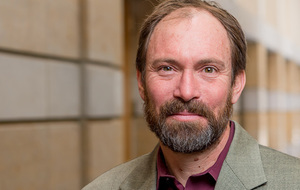 Edward “Ted” Beatty, professor of history, associate dean for academic affairs at the Keough School of Global Affairs, and faculty fellow at the Kellogg Institute for International Studies, has been selected as the winner of the 2016 Friedrich Katz Prize for his book Technology and the Search for Progress in Modern Mexico (University of California Press, 2015). The Katz Prize is awarded annually by the American Historical Association (AHA) to honor the best book in Latin American and Caribbean history. The prize will be awarded during a ceremony at the association’s 131st annual meeting in Denver, Colorado, January 5–8, 2017. Based on extensive archival research in Mexico and the Untied States, the book examines technological change in Mexico in the late 1900s, finding that new, imported technologies supported economic growth and brought cultural change and social dislocation but did not stimulate the expansion of domestic innovation and invention. “This book is innovative, and brings fresh, new understandings of the role of technology in social change and economic development,” noted the prize committee. “At the same time, it returns readers to classical themes of Latin American historiography, of global and national inequalities, frustration with modernization, and uneven progress. Beatty is a historian of Latin America whose work has focused on the political basis of industrialization in Mexico as well as technology studies. Among his other publications is Institutions and Investment: The Political Basis of Industrialization in Mexico before 1911 (Stanford University Press, 2001). Beatty’s book was selected by the Katz prize review committee of AHA members including Jeremy I. Adelman, Princeton University (chair); Matt David O’Hara, University of California, Santa Cruz; and Lara E. Putnam, University of Pittsburgh. The Katz Prize honors Friedrich Katz, an Austrian-born specialist in Latin American history, whose nearly 50-year career inspired dozens of students and colleagues in the field.